With Thanksgiving just a week away, the holiday season is about to go into full swing. 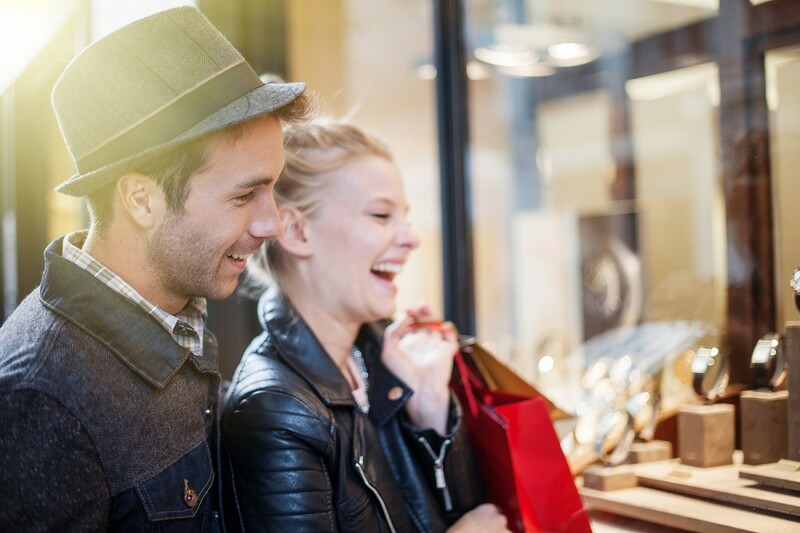 Along with the festivities can come a demand on your wallet; in fact, according to a recent survey by the National Retail Foundation, the average person will spend $804 this holiday season – a 5% increase from 2013. With a little bit of foresight and preparation, you’ll be able to stay on top of your finances while keeping your days merry and bright. Here are our 5 tips for a debt-free holiday. Turn on your favorite Christmas movie and sit down with your laptop, calendar and calculator and plan out your holiday spending. Write down each additional expenditure you expect to have through New Year’s Day, including gifts, clothing, dinners out, party expenses, end-of-year charitable donations and anything else that may come up. Is your total higher than you expected? Don’t worry: we’ll work on that in step 2. 2. Start shopping early for the best deals. Once you know how you’ll be spending extra money in December, try to cut costs where you can. Check out this year’s Black Friday ads and Cyber Monday deals to see if there are any deals to be found on your gift list. Planning your shopping list in advance can also help you keep an eye out for savings while you’re out running your regular errands. Buying gifts as you go about your day will save you time as well as stress rather than trying to get everything purchased during one designated shopping trip. 3. Start new gift-giving traditions. Gift-giving is fun, especially for young kids—but with a large extended family, the costs of giving gifts to both kids and adults in the family can definitely add up. Talk to one or two family members and see if there is any interest in starting a new gift-giving tradition instead of traditional gifts for each adult. You could make homemade gifts, organize a Secret Santa exchange, or if you like a little competitive fun for the group, hold a white elephant exchange. 4. Maximize your credit card rewards. Now is a good time to cash in your credit card rewards, especially if you have cash back or gift card options. Depending on your card, you may also get extra points for spending at certain stores or within designated retail categories. However, make sure you stick to your original budget (see #1). You don’t want to incur additional debt during the holidays; rather, strategically use your credit card to lighten the load on your wallet. Always remember to pay off your balance before any interest accrues. 4. Not able to complete every step? Get ready for next year. Get a jump on the holiday season beginning with New Year’s Day. Now that you have a ballpark idea of your typical holiday spending, simply divide that amount by 11 and start saving that much each month until next December. If you’re like the average American spending $804 this holiday season, you’ll only need to set aside $73 a month to be ahead of the game for the next holiday season. Set up an auto-deduction to a holiday savings account and you’re set. Another option? Call us at 800.975.2265 to see if refinancing your loan would lower your monthly mortgage payment in the coming year. How do you get your finances ready for the holiday season? Let us know your tips on budgeting for the holidays in our comments section.